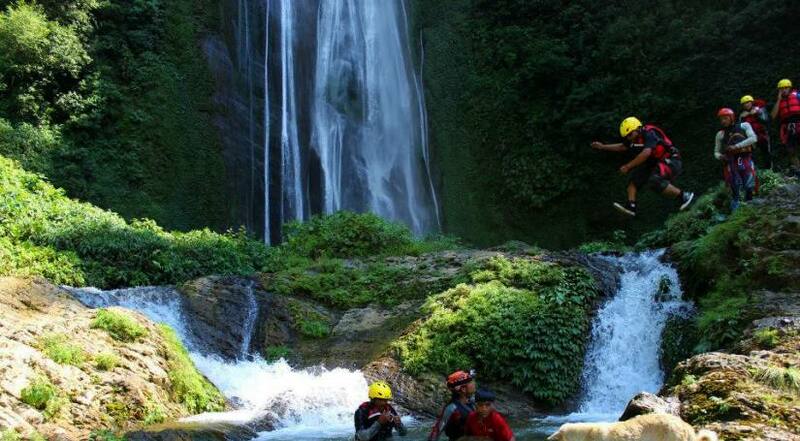 Canyoning in Nepal is a very famous water activity and “must do” activity for water sports fans. You will have a thrilling fun and incredible scenery at one of Nepal’s most beautiful canyons. Be in touch with majestic waterfalls, rock slides and giant jumping rocks and land in primeval pools of turquoise water. Afterward, enjoy Nepali culture as we guide you for lunch at our favorite daal Bhat (traditional Nepali food) place! This Canyoning is one of the best Canyoning adventures in Nepal. 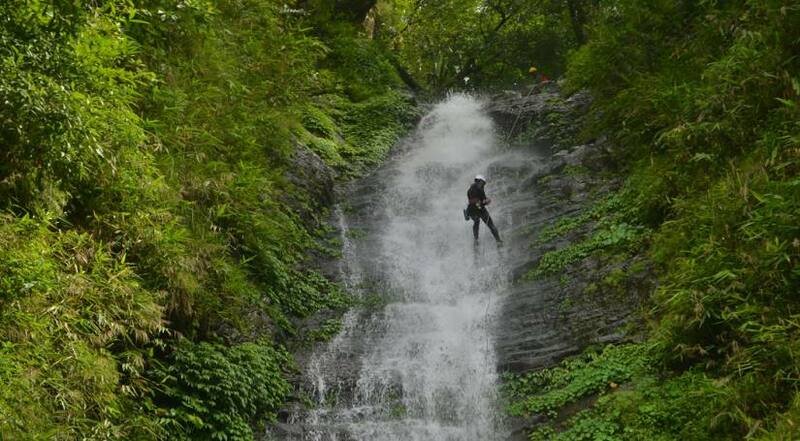 To experience this wonderful Canyoning you will be escorted to a natural water park at Jalbire Canyon, Chitwan. It features rock slides, jumping pools, and many waterfalls. It has been described as “best conyoning attraction in Nepal” by most of the adventure seeker been to Nepal. Indeed, it is one of the most famous destinations. Want an even more adventure in a couple of days? Add rafting in Trishuli River to this trip and overnight camping for a nice weekend break, or 2 day trip before going on to Pokhara or Chitwan. This is the perfect halt for your office days in Nepal. In the morning after breakfast, you will be escorted to Jalbire, Chitwan, which is your destination for this watersports adventure. There you will meet guide and briefing about all the activities that you are doing. ➺Wear flexible fitting clothing like rash guard shirt and leggings with shorts over them. Please note, guests must follow all safety precautions. Guides have right to exclude anyone from the tour who does not follow safety rules. Canyoning is an adrenaline-rush, extreme sport that is really fun, but all must follow the safety rules.